In 1974, Larry Sidor walked into Olympia Brewing Company wearing galoshes. Two decades later, he ran out. He couldn’t take dumbing down lagers anymore. 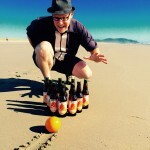 He found happier times at Deschutes Brewery, developing legendary recipes such as The Dissident, The Abyss and Red Chair. In 2012, he and Paul Evers opened Crux Fermentation Project in a former AAMCO transmission shop in Bend, Oregon, with the complete freedom to brew whatever they desired, and by desire that meant sublime IPAs, complex barrel-aged Flanders reds and restrained pilsners. They designed the brewery for non-traditional brewing methods such as decoction mashing, open fermentation, oak barrel aging, wild yeast strains and experimental hops. Proudly, they bottled and labeled by hand in small batches right at the brewery. 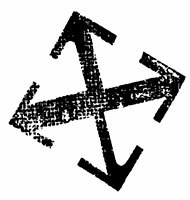 Today, Peaks and Pints salutes Crux with a beer flight we call Craft Beer Crosscut 4.10.19: A Flight of Crux. Crux Cranberry Wit was such a big hit at Crux Fermentation Project’s Bend, Oregon tasting room last year that they decided to brew it again. A bog’s worth (13lbs per HL) of cranberries from Bussmann Farms in Sixes, Oregon was added to the hopback with wheat procured from Malpass Farms in Harrisburg, Oregon to add to the local charm of this unfiltered, creamy witbier. The flavor is quite tart and prominent with cranberries. There is a moderate doughy flavor with a bit of low spice. The Pacific Crest Trail stretches from the Mexican border to the Canadian border, covering more than 2,600 miles along the way. On average, it takes thru-hikers about five months to complete the trek. Most hikers start in the south, and by the time they make it into Oregon, they’ve built up a mighty powerful thirst. 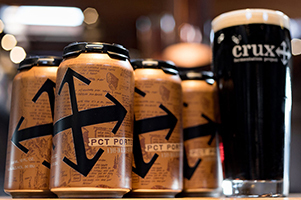 Enough PCT hikers stop in Bend, Oregon for a shower, a civilized meal and craft beer that Crux Fermentation Project decided to brew PCT Porter just for them and the organization that supports the hikers, Pacific Crest Trail Association. Kick off the hiking boots, pull one of these out of our cooler and enjoy this velvety, chocolate porter with a small bitter bite at the back. Crux works best when dealing with mixed-fermentation and barrel aging (such as with the fantastic [Banished] series, with barrel-aged Oud Bruin, Flanders Red and Tough Love), but still keeps things tasty with its IPAs, such as the west coast style Go For It. Loaded with whole flower CTZ, Denali, and Idaho 7 hops, which are known for their pungent citrus and spice aromas, Crux has constructed a combo of flavors that will punch you right in your taste buds. 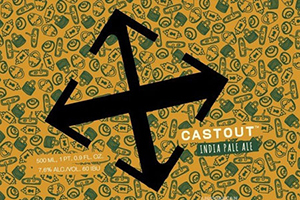 Crux Fermentation Project’s Cast Out IPA features the Galaxy hop from Australia, a country famously populated by England’s cast out convicts. Cast Out IPA employs these hops aggressively from hop back to dry hopping stages. Yet the result is a balanced and bronzy ale, with medium hop bitterness complemented by moderate maltiness, showcasing aromas and flavors reminiscent of passion fruit. 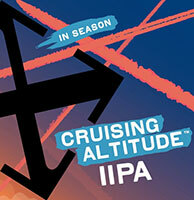 Crux Fermentation Project’s Cruising Altitude imperial IPA is brewed with Pilsner and Caramel malt, with a bunch of Strata hops with a floral dusting of Galaxy hops. Aroma is malty and citrus. Initial taste is slightly sweet with tropical fruit and citrus. Crisp and clean with a mild bitter finish.